Our NISSA Boys' Basketball and Girls' Football seasons are in full swing with the Snow Leopards having put on some outstanding performances thus far. The NISSA girls' football league is a 7-a-side affair, and our girls have already played four league fixtures, emerging triumphant in all their games. The league kicked off with a double-header against KISC, which our girls won 4-0 and 5-1. Thereafter, they played an inexperienced GEMS side and won 13-2 at home and 4-0 away. All these games gave our girls ample playing time as they worked to gel together as a team before heading off to the SAISA tournament in Mumbai on April 20-22. 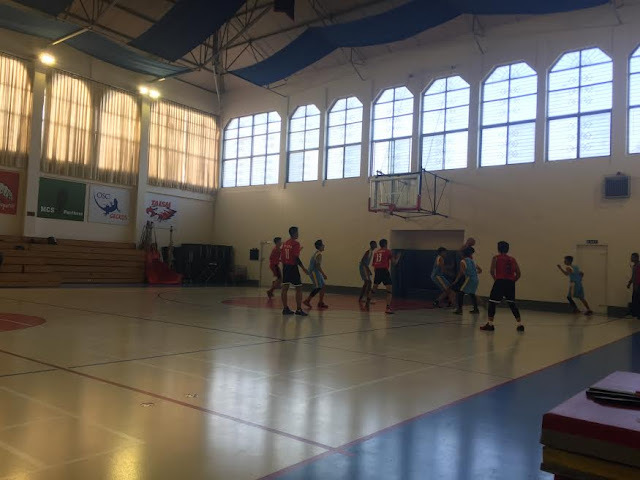 Our boys' basketball team have played two league fixtures thus far, emerging victorious in our first outing of the league against GEMS. In our away fixture the roles were reversed, with our boys shots not sinking, and eventually falling to defeat. Despite this, lessons were learned and the boys and girls teams are now gearing up for their games vs TBS this Saturday, March 18th in the LS gym and turf respectively. On March 25th, Lincoln School will host the NISSA girls football and boys basketball festival, which is sure to be an exciting affair. Go Snow Leopards!